Get out and explore the new trail! and events. Updated after significant weather changes. 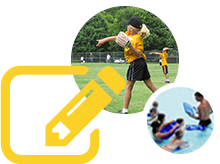 Use our online registration system to register for programs or to reserve a facility/ball field.